Denial isn't just a river. . .
Raedella Rollins left the dusty town of Sweet Poke, Arkansas, on a Texas-bound bus with four mismatched suitcases, a newsroom job offer, and a promise to herself: never look back. Now, less than a decade later, she's a top-rated talk show host, a celebrity news anchor, and fiancee to Houston's star councilman. The future looks bright for Rae, and Sweet Poke is nothing more than a distant memory.
. . . and she's paddling as fast as she can. But now that she's reached the top, her ragtag family comes knocking. Mama Tee, the grandmother who raised her, calls with unwelcome family updates; and Shondella, her jealous older sister, guilts her into sending money. 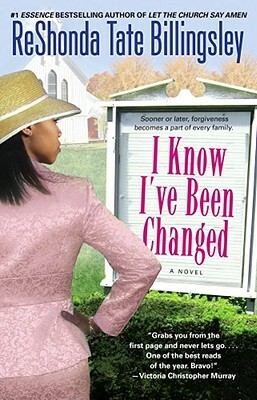 To Rae, nothing could be worse than an unexpected reunion with her over-the-top relatives. But when her picture-perfect life turns out to be an illusion, Rae's family calls her back to Sweet Poke and to the life she left behind. Can Rae let go of the pain of her childhood and open her heart to the healing that only faith and family can provide?